Music and Libretto by Wang Jie. Base on a short story by Wang Jie. 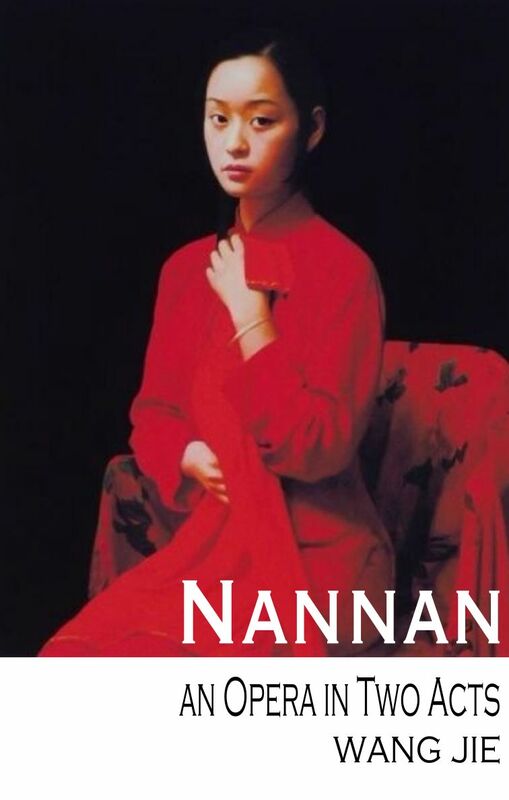 On the eve of the Chinese Communist Revolution in 1948, NANNAN tells the story of a barren wife in a noble household who is soon deemed undesirable and replaced by a concubine. Minshen, Tenor – a gentleman in his late 20s, Master’s younger brother, who just graduated from college and returned home from London. Lumei, Light Lyric Soprano – a young and attractive opera singer, married to the Master as concubine. Master, Bass-Baritone – the head of the noble family, Nannan’s husband, who inherited major wealth from his deceased parents. The Maid, Mezzo-Soprano – a 32-year-old uneducated lady. The Missionary, Bass-Baritone – a foreigner in his late 40s. The Steward on the ship, Baritone – a 40-year-old man. Tags: Eastern Reference, opera, orchestra, vocal, W.I.P.